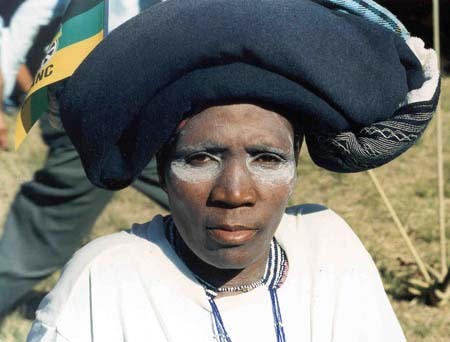 Ever wonder why the Xhosa people of Africa smear their faces white? Why do the South African Xhosa people of smear their faces white? The white creamy sunscreen lotion for African skin is called ingceke and it is used as a sunscreen and skin ointment for protection and healing. 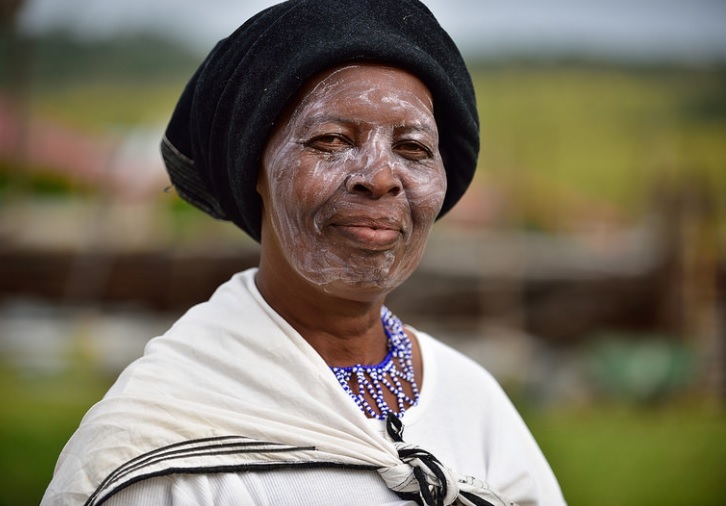 The special sunscreen lotion for African skin made by the South African Xhosa tribe may look like paint for a traditional dance performance but it is simply sunscreen. Sunscreen lotion for African skin is essential in the extreme South Africa sun. The reason why the Xhosa people smear their faces white is for sunscreen against the African sun. The Xhosa traditionally make ingceke cream which is a mixture of water and clay to protect themselves from the burning rays of the sun and used as skin ointment to treat rashes and eczema. The popular ingceke cream is made from the fruit of the sausage tree. The fruits are ground to a pulp, burnt to ash and pounded with water to make a white paste to apply to the face and body. Traditional Xhosa ingceke cream is not paint but the ash of the fruit of the sausage tree. The mature fruits of the bat pollinated Kigelia pinnata or sausage tree dangle from the long rope-like stalks. The sausage shaped fruits are up to two feet long and weigh up to 17 pounds. Ingceke cream is applied on the face and other exposed areas blocking the UV harmful rays of the sun. The ingceke cream is used by everyone who comes in contact with the sun and harsh wind, from male and female and the young and old Xhosa people. Xhosa ingceke cream is not paint but the ash of the fruit of the sausage tree. Sunscreen for dark skin is essential in the unrelenting South Africa sun. 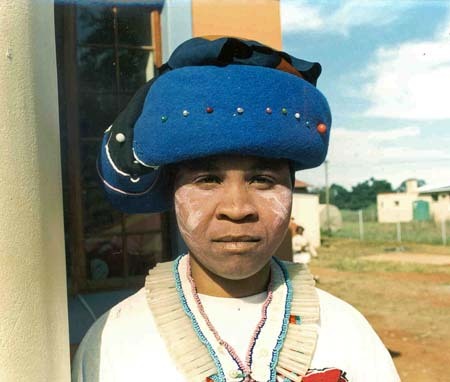 The Xhosa people of southeastern South Africa are the second largest cultural group in South Africa. The region has Subtropical weather, during the summer months temperatures range from 74℉ - 92℉ (23℃ - 33℃) between September and April. January is usually the hottest month with hot and humid days.